The theme of this general fiction novel will vastly appeal to a mixed-age range, starting with young adults. Although true love and romance abound and may appear to be the crux of this story, they subtly merge with other divergent topics - mainly the complex realities of adoption. The story begins with coming of age situations that result in four young adults quickly maturing by the mere force of life turns and poor choices. The convoluted reasoning of two young lovers who always wanted more, resulted in a plethora of lies and deception. Their selfish, egotistical actions got them deeper and deeper into a tumultuous sea of mendacity very difficult to escape from. Their actions brought unnecessary pain to a couple in love, whose basis for living was the delicate and humane task of raising an adopted child. In one way or another, the five chapters stem from the drama of a twisted soul ultimately yearning for redemption and a tortured man trying to emerge from an interrupted, unfulfilled life. Inside a big, pierced heart …. Nothing can take us apart! Featured story: Hidden ~ A Crime Mystery. Plus other short, short stories, essays and trivia tales. 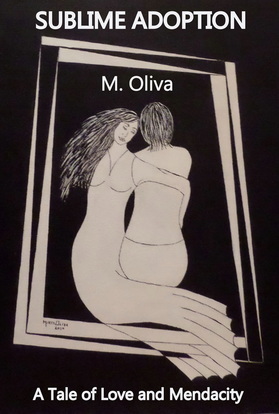 Book of Diverse Writings - Volume II - Poems, Free Verse and Poetic Trivia - Something for everyone in a great variety of themes: Love; motivational and inspirational; abstract and miscellaneous; in Spanish. Also, poems from the author's published works. A full color children's book with many paintings depicting segments of the story. A sweet tale of love based on the creation and lives of origami paper birds and the human who created them. This labor of love is dedicated to natural and adoptive mothers of the world, and to adopted children of all ages. The story is not about chastising anyone for mistakes or actions of the past; rather, it focuses on the ill effects of continued lies and deception. In the end, repentance and the power of forgiveness prevailed. Other relevant situations help promote and achieve a sense of acceptance and pride by those chosen children. "There is no better feeling than feeling loved and wanted - two different concepts independent in their values but, when put together, they elevate the meaning of the word 'Love...'"
The far-reaching phrase quoted above verbalized an important message in the book. The combined distinct concepts are germane to adoption matters of the heart: We all need to feel loved and wanted. In most instances, birth parents do love the born or yet to be born creatures, but for some valid reason, cannot keep them. In the majority of the cases, the adopted children feel loved and wanted by their adoptive parents who chose to have them in their lives. Consequently, most adoptees do not feel rejected or abandoned; on the contrary, they tend to joyfully embrace the fact that one or two souls elected to have their hearts broken so that their natural child could enjoy a better life. Whether you are or had ever been involved in an adoption or are just curious - this is a must read book since it humanizes the process. From what has been learned about the subject, most adoptions appear to be surrounded by some degree of difficulty or pain - and both situations are dealt with in this novel. While the first few pages may give you a glimpse of what the book is about, there are many consequential events that mark each chapter individually until the last two where last lies begin unraveling up until one last well-kept secret. Love is said to conquer all... Of course, but it took lots of love, an understanding attitude, and positive disposition for this story to evolve into its final chapter. The new family tree now blossoms with happy characters who never thought that life could be so wonderful - once all lies and deception were buried deep under its darkest shadows. "You may argue that I had no other real experience to compare their love with, but why would you need to compare your state of mind insofar as feeling loved when you have never felt the lack of it?" "The actions preceding this visit paved the way for a new beginning marked by that wondrous feeling of FEELING WANTED, a phrase I am borrowing from you ... While I had always felt the LOVE of my adoptive parents, they also proved that they WANTED me in their lives. Two different concepts independent in their values but, when put together, they elevate the meaning of the word 'love'". "Uncover the lies, relieve the hurt, be brave before it's too late; tell the truth ... let it be! ; make amends! and you'll be FOREVER FREE!" (From the poem MAKE AMENDS). "... But my sweetheart was there, eager as I was to share fleeting while unforgettable moments." "...blurted out a new bombshell, quick enough as to keep me prisoner of her sorrowful confession." "...a passionate kiss equal to no other, or so I eagerly believed..."
"Our love affair started somewhat platonic, which gave way to our needing more..."